For opening hours information, please contact SmartCentres Surrey directly. SmartCentres Surrey offer more than 15 brand name stores. SmartCentres Surrey is located in Surrey, British Columbia - 12549 - 88th Avenue, Surrey, British Columbia, V3W 3J7, Canada (GPS: 49.162948, -122.874891). Look at the list of stores in SmartCentres Surrey, hours, location and information about mall and special events, sales, coupons. You can choose store from list below and get detail information - other stores locations for the brand, location, shopping hours, phone, map, directions contact. SmartCentres Surrey is one of the best shopping place for spend your free time - mall/shopping center has all types of stores - outlets, department, fashion, traditional and more. Have you ever visited SmartCentres Surrey? Do not forget to write shopping review and rate your satisfaction. SmartCentres Surrey West is 238,224 square foot shopping centre. The Center is anchored by Walmart department store. Other national tenants include Dollar Tree, Carter’s OshKosh, Reitmans, Tim Hortons, Subway, Ardene, Payless ShoeSource and Sleep Country. 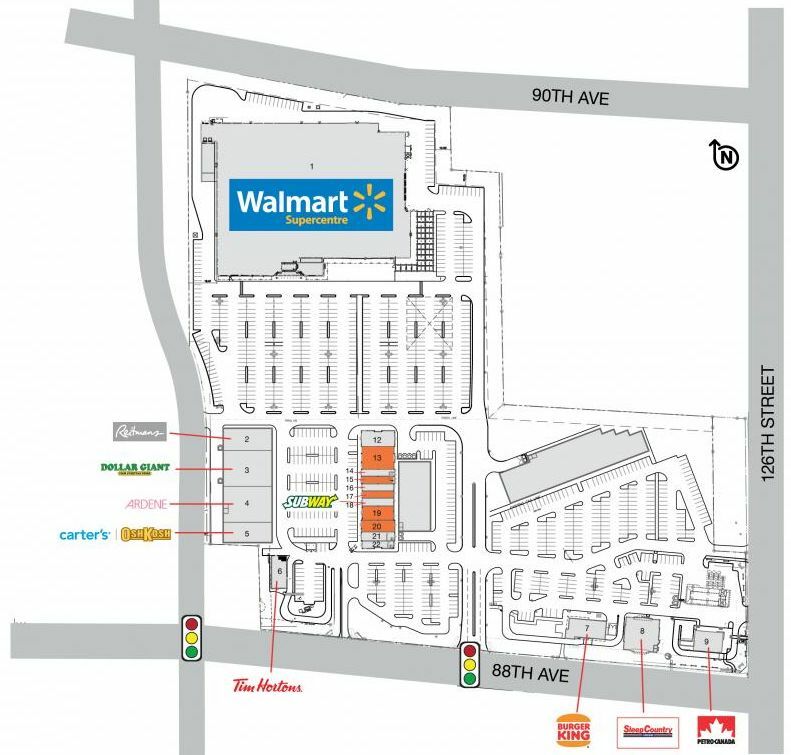 SmartCentres Surrey is located approximately 30 minutes from downtown and the U.S. border and is situated at the centre of the Lower Mainland of British Columbia. (at the Northeast corner of 88th Avenue and 124th Street). Give us your experience with SmartCentres Surrey by writing a short review.